We can offer you a great deal if you are looking for salon leasing. 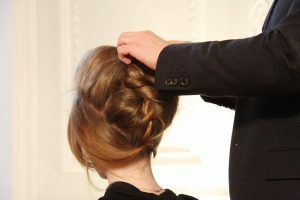 If salon jobs in Mansfield are just what you need? We can offer you great move-in specials that we have right now. We have many different salon suites we can offer with many incentives. Start off your business with a salon leasing suite at any of our locations. We would love to help you get started with all your many talents. We can offer you salon leasing in Mansfield, Grapevine, Fort Worth, and salon leasing in Arlington. All of our suites are the move in ready; you can paint and decorate how you would like. Please feel free to express your style through your suite. It is your very own business. You can sell product out of there as you’d like and we actually encourage it due to the fact it can increase your revenue by 10-15 percent. You also have 24-hour access to the salon for those of you who work late hours for your clients. Washer and dryers are also available at all our locations to better serve you. Only at our Grapevine location, there is a full-time concierge to serve you better with whatever you need. If you are looking for salon leasing in Southlake, Keller or salon leasing in Irving we can offer you that, just take the short drive over to our Grapevine location and see what we have to offer you. Bring your many talents to us and we will offer you a suite to practice execute them in. Build your business from the ground up with us. Top of the line security is what we can offer you for you to feel as comfortable as possible. Set up an appointment to tour any of the locations that are best for your clientele and yourself with one of our leasing managers and you will not be disappointed. Visit us at any of our Salon and Spa Galleria and see why we are number one is suite rentals. With the beauty industry booming the sky is the limit for licensed professionals. With the highest number of employed cosmetologists of any state being Texas should be a great reason to start your own business. All suites that we rent come with a 32-inch flat screen equipped with DirecTV for you to enjoy in your free time or for you to entertain your clients with as you are working on them. All of our suites are also customizable to your liking so you can paint and decorate the suite how you like and express yourself through your suite. At Salon and Spa Galleria Mansfield we can offer you a great spa room for rent and you can start up your business. Give our leasing manager a call and set up an appointment for any location of ours that you can see your business building up. Come take a look at our spa rooms for rent in Arlington and see where you can get out of those commissions based salons for good.